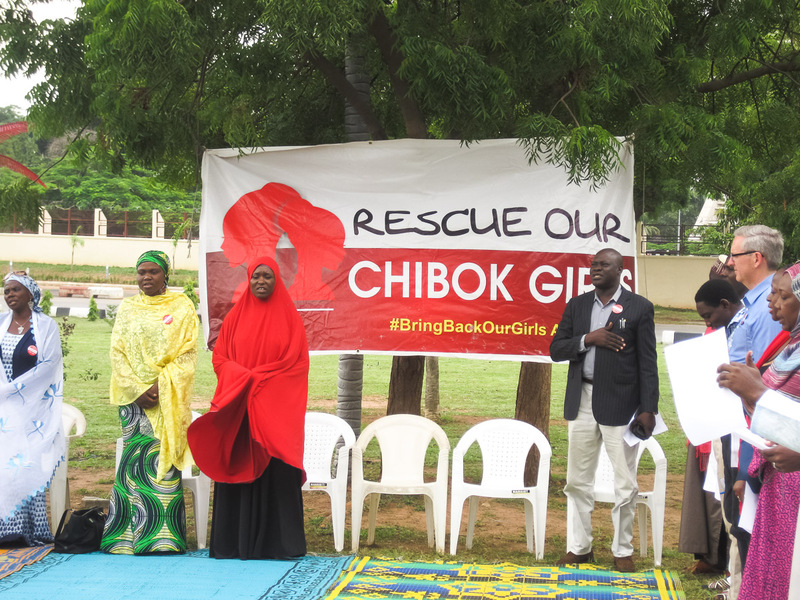 July 23 marks 100 days since the Chibok girls were abducted. The Boko Haram insurgency has brought to world attention the shortcomings of Nigeria’s army, police, and other security services. President Goodluck Jonathan is seeking $1billion in external loans to enhance their capacity. His government has shifted from one bold declaration to another: a state of emergency, total war, and now adding more funds to the billions already poured into these services. There is an urgent need for a comprehensive strategy focusing on the wider Nigerian predicament as well as the opportunities for sustainable progress. This essay and others to follow will address this need. To an extent never contemplated during previous crises, Nigerian authorities must cooperate with external security forces to meet the growing threat posed by Boko Haram. Otherwise the large area in the northeast of the country being steadily wrested from government authority will replicate North Waziristan in Pakistan. The over-running by Boko Haram just days ago of Damboa, a town close to Chibok, even if retaken by the Nigerian army, shows how much jihadist strategies in Afghanistan and Iraq are being adopted in Nigeria. The global Internet campaign, #BringBackOurGirls, and its valiant Nigerian advocates have brought relentless pressure on the Goodluck Jonathan Administration. The Nigerian military and police, however, are outmanned, outmaneuvered, and even out-equipped by the insurgents. The Nigerian government is steadily losing sovereign control over large areas of the northeast. The army does not appear able to curb, much less defeat, Boko Haram. Revamping its operations will take many months, at best. In the near term, specially trained units of Nigerian forces with external advisers can be deployed, consideration given to any negotiations underway regarding the Chibok abductees. Yet, as the experiences of Afghanistan and Iraq demonstrate, even trained indigenous armies can crumple if they lack internal organization, motivation, and national leadership. Eventually, the Responsibility to Protect might be invoked by the United Nations as well as the increasing threat Boko Haram poses to international peace and security. For concerned persons not involved in military and security affairs, the challenges to be met are equally daunting. A collaborative project, Nigeria: Pathways from the Predicament, is proposed to address it. After recent consultations in Lagos, Ibadan, Abuja, and Washington, DC, the following areas of engagement have been identified. They are also based on many years of analysis and discussion. The complex political and economic challenges in Nigeria require the level of multinational collaboration usually arranged in response to major humanitarian calamities and violent armed conflicts. Nigeria is such an arena today. Because of its oil and gas reserves, and its huge consumer market, Nigeria is of great interest to investors worldwide. With national elections scheduled for February 2015, Nigeria can experience greater instability and insecurity. The fact that it has muddled through previous political crises is no guarantee that it will do so in 2015. Many traditional, political, business, and religious leaders are aware of the negotiations and compromises that enable this plural nation to cohere and advance in some areas. This conviction, though strained, is not fully eroded. The current National Conference has enabled Nigerians from all sectors of society to spend months in argumentative debate on key issues. In such contexts, Nigerians can tap into what they have in common. Many venues for cross-communal consultation must be encouraged with the aim of reviving the Nigerian Project of a multi-ethnic, multi-religious, socially just and democratic polity. Nigeria, despite its economic and military might, has usually acted as a “benign hegemon” in west and equatorial Africa. Yet its capacity to influence regional affairs has diminished. The threat posed by jihadist extremists is also regional in nature. France is consolidating its military operations in Mali, Niger, and Chad. The United States is steadily expanding its security engagement across the “band of insecurity” from the northwest to northeast of the continent. Northern Nigeria is becoming the vortex of these terrorist and counter-terrorist operations. In the midst of these currents, it must again be a leader in regional affairs which requires presidential vision and leadership. The former American Assistant Secretary of State for Africa, Johnnie Carson, has called for a Marshall Plan for Northern Nigeria. To a give an idea of the scale involved, the population of this region is roughly equal to that of Egypt at 80 million. As a country, it would tie for third largest in the continent after the rest of Nigeria and Ethiopia. The extent of this problem is usually elided by statistics that show Nigeria to be the largest economy in Africa and growing by 7-8% per annum. Disaggregated, the picture looks different. The economy of northern Nigeria has stagnated, with a disproportionately high rate of population growth, deplorable education and health facilities, and abysmal employment opportunities for its youthful population. If Boko Haram did not emerge from this wide distress, other extremist groups would have done so. Banditry, cattle-rustling, and other woes reflect the growing insecurities of economic and social life. A comprehensive growth and development plan, linked to the proposed Global Coalition, is an international priority. State of Emergency in Adamawa, Borno, and Yobe states. I once asked a Nigerian colleague how he introduced the study of Islam to his American students. He replied, “I tell them we will study what Muslims do when they are not making bombs”. Nigeria is now associated in the minds of many worldwide as the land of Boko Haram. This is unfortunate for many reasons and not least because of the great diversity and cultural wealth of Islam in Nigeria. The history of Islam extends over a millennium in Nigeria. It has given rise to tolerant bodies of Islamic teaching and practice. The Yoruba of the southwest, for example, with roughly equal Muslim and Christian practitioners (plus devotees of indigenous religions), have engendered one of the most accommodating traditions of Islamic practice in the world. Despite extremist jihadism – endemic to parts of northern Nigeria but never in the brutal form seen in Boko Haram – Islam is a great resource for the revitalizing of inter-religious tolerance. And so are other religious communities. The Institute for the Study of Islamic Thought in Africa (ISITA) at Northwestern, founded by the great Islamic scholar, John Hunwick, can contribute intellectual resources and a scholarly network to this dimension of Nigerian Pathways. The policy response is clear: partnerships can be established between government units at state and local government levels and their counterparts in countries where facilitative governance is practiced. This involves the conduct of government affairs in ways that optimize the production of public goods, foster dynamic business enterprises, and sustainably expand core infrastructure and public services. The usual complaints about neo-colonialism are not tenable. Nigerian authorities have had over six decades to create such systems and failed. It is not so much the federal structure that is at issue but the management of it. Partners in facilitative governance can be identified in the Global North and South. One of the most important cases of democratic developmental governance in Africa has emerged in Lagos State, especially during the tenures of two governors, Bola Ahmed Tinubu (1999-2007) and his former chief-of-staff, Babatunde Raji Fashola (2007 to the present). In many areas of government responsibility, such as taxation, transportation, environment, and business facilitation, the government of Lagos State has been transformative. Efforts have been made by other state governments to study the Lagos model, but these should be systematized. External partnerships mentioned above, and domestic application of the lessons learned in Lagos, can provide Nigeria with important pathways to facilitative governance, as well as the more advanced Lagos model of developmental governance. Two questions I often pose to Nigerians are which state governments are showing progress in their operations and which units of the federal government are performing admirably. Invariably, the examples given are meager. One federal ministry often mentioned is Agriculture. Given the size and complexity of the federal government, there should be dozens of meritorious cases. How can that change? How can federal units be incentivized to perform well? How can inter-institutional relations, especially between such units and the ministries or legislative bodies that oversee them, avoid being subject to the sharing of favors and bribery? One of the key features of the East Asian model of governance, which is serving as a template for growth and development worldwide, is the creation of centers of excellence insulated from patronage politics. Nigerians do not have to invent these wheels. They can scour the globe for proven mechanisms and practices and adapt them. I have taken issue with the revisionist paradigm advanced by some development economists and research programs. However, an important recommendation of one of its proponents, Tim Kelsall, is the need to reduce the deleterious consequences of short electoral cycles for economic policy making. Governments that have adopted state authoritarian capitalism, such as Ethiopia and Rwanda, benefit from “long-term horizons” and other features important for sustained economic growth. Several recommendations made in a roundtable in Lagos on July 5 indicate how such advances can be made at the federal level in Nigeria. (These will be discussed in a subsequent essay). One of the paradoxes of Nigeria is how a nation which produces so many highly intelligent and resourceful individuals can have made such a shambles of its natural resources. In many areas, the most enterprising Nigerians emigrate and usually pursue successful careers in their host countries. There is a wave of younger Nigerians, especially in business, returning to build new enterprises. However, the talent and financial assets that remain abroad are extensive. Asian countries have viewed the overseas training of their citizens, and their deployment at home at attractive wages, as crucial to their growth and development. This is a pathway available to Nigeria which has not been pursued with the requisite commitment. Prebendalism is not just a Nigerian phenomenon. However, it is constantly perfected by Nigerians as Stanislav Andreski warned decades ago. Good governance, including in advanced democracies, require robust systems of horizontal and vertical accountability. For Americans, the prosecution of governors, bankers, legislators, and others for financial abuses is as regular a feature of their political system as elections. The largest constitutional democracy in the world, India, has struggled to overcome pervasive graft and corruption. Nigeria has not experienced the same degree of popular upheavals against corruption as India, or the innovations Indians have devised to compel transparency and accountability. In government, business, religious groups, and civic organizations, there are many Nigerians who can endow their country with vigorous institutions of accountability and transparency. With the support of external partners, existing structures can be strengthened and expanded and appropriate ones created. The defeat of Dr. Kayode Fayemi in the gubernatorial election in the southwest state of Ekiti in June 2014 has forced Nigerians to rethink electoral politics. A committed and inspiring democratic leader was defeated through democratic action. How could that be? While some of the results can be attributed to harassment and fraud, this is evidently not the full story. I have adopted the view of veteran Africanist scholar and Nigeria expert, Richard L. Sklar, that Africa is a workshop of democracy. Another important idea that has emerged from the study of post-1989 democratization is Michael Bratton and Carolyn Logan’s notion of “claiming democracy”. Democracy is about agency but also political culture. The more the system is opened to popular choice and action is the more the citizenry is empowered to speak and act. They may not necessarily do so in ways assumed by modern political leaders. A deep political culture exists in many Nigerian communities. Democratic progress involves an interactive engagement between contemporary visions and ideas and popular behaviors and expectations. How to bring the people along is a challenge Nigeria’s progressive leaders will seriously re-examine in the wake of the 2014 Ekiti voting results. One of the great virtues of Nigerians is their extraordinary entrepreneurship. Since the 1980s, numerous avenues have been opened in Nigeria, as elsewhere in Africa, to entrepreneurship. Many individuals still pursue business careers based on procuring contracts from local, state, and federal agencies. However, alongside them enterprises, from small to large–scale operations, are being built with a focus on the country’s expanding consumer markets. Today, one can encounter Nigerian business-persons as astute and effective as those in any fast-developing country. Consociationalism, advanced notably by political scientist Arend Lijphart, has always featured in Nigerian government and politics. Nigerians recognize that their society is essentially plural in nature and have introduced political concepts such as “federal character” and “the zoning” of election candidates that reflect this understanding. Persons occupying government offices are not only chosen according to formal democratic procedures but must also reflect their diverse communities in a rotational manner. Ken Post and Michael Vickers introduced a concept that is still pertinent to Nigerian politics, namely that the country possesses a conglomerate society. 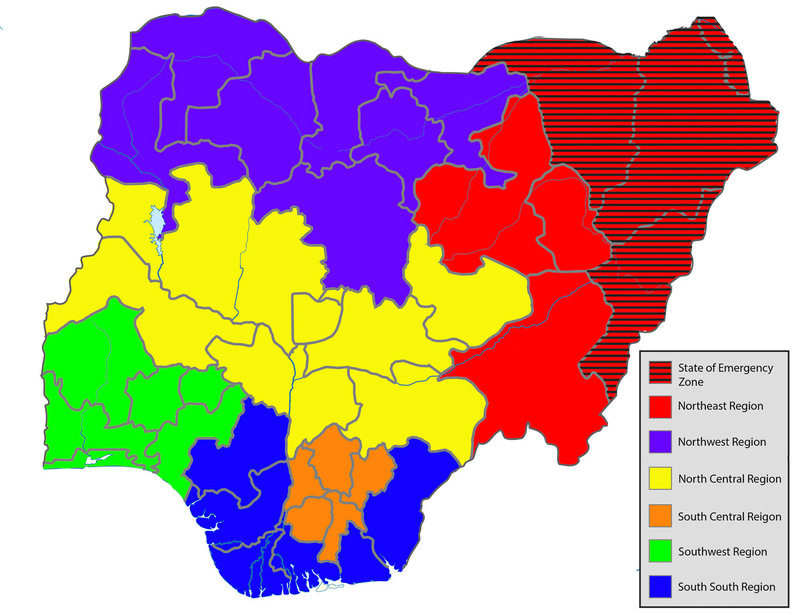 To a considerable extent, Nigeria is composed of cultural sections as Post and Vickers had argued, although trans-communal identities have also grown. In light of the challenges faced by plural countries such as Afghanistan, Iraq, Turkey, and Syria, Nigeria can demonstrate the benefits of consociationalism in its federal governance. The Nigerian mosaic of ethnicity, language, religion, dress and other cultural attributes will influence the pathways chosen. In a world that is deeply rent by discord and inter-communal violence, the Nigerian project of diversity-in-unity must be more than a slogan. It has to be vigorously pursued and enacted. The constitution drafters in Nigeria, 1976-78, opted for a presidential system. Individuals who emerge to occupy this powerful position, and the abundant financial resources it commands, do so via a fractious political process that is little based on experience and capacity. Yet, there is no absolute rule about which personal traits and backgrounds will yield audacious and inspiring leaders. Surprises abound, such as the American presidencies of former small-town lawyer Abraham Lincoln and former small-town haberdasher, Harry Truman. The Nigerian Fourth Republic has had three presidents. Olusegun Obasanjo (1999-2007) was its most experienced and capable albeit flawed leader. Umaru Yar’Adua (2007-2010) was weak politically and physically and made nary an impact. Goodluck Jonathan (2010 to the present) remains a paradox. He showed great skill and courage in overcoming intense opposition to his bid to succeed an ailing Yar’Adua. He has deployed the resources of the presidency to maintain support in the nation and among the institutions of government. However, he has not shown the capacity to confront and overcome severe challenges such as the Boko Haram insurgency. Even important symbolic acts such as embracing the bereaved parents of the abducted Chibok girls, reaching out to the peaceful protesters of #BringBackOurGirls, and traveling to the besieged northeast (and more often throughout the disgruntled north), have so far eluded him. Sadly, instead of joining forces with civic activists, the Jonathan regime is going down the dismal tunnel of harassing and disparaging them. If Nigeria is to emerge from its deepening predicament and pursue pathways to stability, security, and democratic development, it needs if not a Lincoln then at least a Truman. Can Goodluck Jonathan bridge this leadership gap or will someone else do so? Given Nigeria’s highly presidential system of government, it is imperative that this question be affirmatively answered. 2 And others, such as the Boko Haram offshoot, Ansaru, are active. 3 See John N. Paden, Muslim Civic Cultures and Conflict Resolution: The Challenge of Democratic Federalism in Nigeria (Brookings, 2005). 4. See the classic study by David D. Laitin, Hegemony and Culture: Politics and Religious Change Among the Yoruba (University of Chicago Press, 1986). 6 For a discussion of these concepts and issues, see R. Joseph: “Industrial Policies and Contemporary Africa: The Transition from Prebendal to Developmental Governance” in Joseph E. Stiglitz et al., ed., Industrial Policy Revolution II: Africa in the Twenty-First Century (Palgrave, 2013). See also R. Joseph, Democracy and Prebendal Politics in Nigeria: The Rise and Fall of the Second Republic (Cambridge, 1987/2014). 7 A starting point could be Innovations for Successful Societies (ISS) at Princeton University which documents such systems: http://www.princeton.edu/successfulsocieties. 8 Business, Politics, and the State in Africa: Challenging the Orthodoxies on Growth and Transformation (Zed Press, 2013). Kelsall and his colleagues have conducted several years of pioneering research under the aegis of the African Power and Politics Programme, the Overseas Development Institute, UK. 9 Ibid, and David Booth and Diana Cammack, Governance for Development in Africa: Solving Collective Action Problems (Zed Press, 2013. 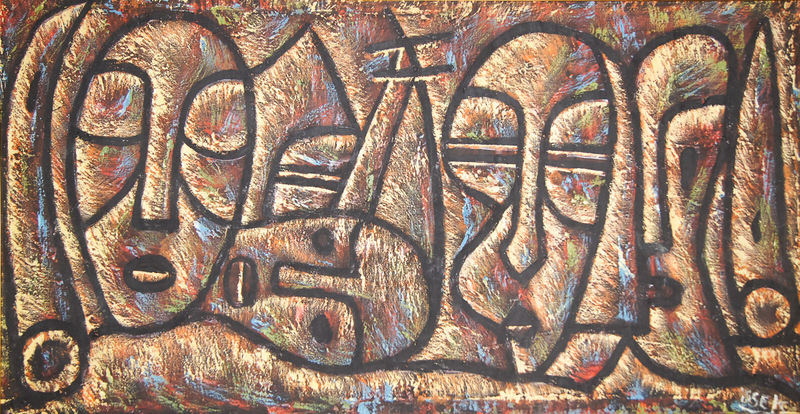 A critique of the “revisionist paradigm” advanced by these scholars and others can be found in https://africaplus.wordpress.com/2014/04/03/africas-third-liberation-transitions-to-inclusive-growth-and-developmental-governance/ and “The Next African Frontiers: Inclusive Growth and Developmental Governance,” in Justin Yifu Lin and Célestin Monga, Oxford Handbook on Africa and Economics, Vol. 1 (Oxford University Press, forthcoming). 10 The African Predicament: A Study in the Pathology of Modernisation (1968). 11 An exception was the upheaval over the removal of the fuel subsidy in January 2012. Investigations provoked by protesters revealed the billions of government funds extracted by elaborate scams in the importation of refined petroleum products. 12 “Democracy in Africa”, African Studies Review (Sept./Dec. 1983). 14 This is demonstrated in several chapters in Wale Adebanwi and Ebenezer Obadare, eds., Democracy and Prebendalism in Nigeria: Critical Interpretations (Palgrave 2013). See, in particular, chapters by Leena Hoffman and Insa Nolte on the southwest region and by David Pratten on the Delta region. 15 Governor Fashola gave a lecture at the University of Ibadan in 2007 which included a discussion of democratic followership. I was intrigued by the unfamiliar notion. Now I understand its significance. 16 The remarkable growth upswing in Africa, now into its second decade, is well reflected in Nigeria. For a broad survey, see Nicholas Kulish, “Africans Open Fuller Wallets to the Future,” The New York Times, July 21, 2014. 17 The obstacles are discussed in R. Joseph, K. Spence, and A. Agboluaje, “Corporate Social Responsibility and Latecomer Industrialization in Nigeria,” https://africaplus.wordpress.com/2013/07/21/corporate-social-responsibility-and-latecomer-industrialization-can-nigeria-do-it/ and Charlotte Walker-Said, ed., Corporate Social Responsibility (University of Chicago Press, forthcoming). 18 Among his many publications, see “Consociational Democracy”, World Politics (January 1969). 19 See Structure and Conflict in Nigeria, 1960-1966 (Heinemann, 1973). 20 Yet to be solved is the combining of meritocratic and consociational virtues. 21 This convoluted story is related in R. Joseph and A. Gillies, “Nigeria’s Season of Uncertainty”, Current History (May 2010). 22 Admittedly at enormous cost to the nation’s treasury. 23 The temporary detention of former Minister and World Bank official, Obi Ezekwisili, a fierce government critic, at the Abuja airport on July 21 is a particularly alarming development.